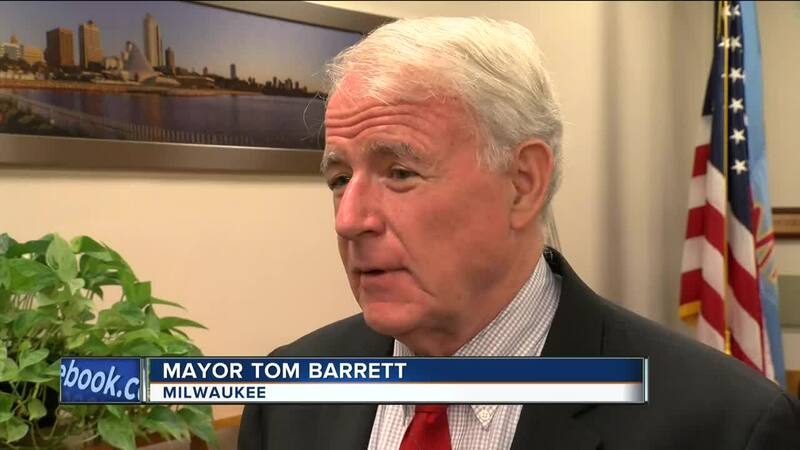 After recent reports in the Milwaukee Business Journal indicated Amazon could be considering building a new fulfillment center in Oak Creek, Milwaukee Mayor Tom Barrett wants the company to take a close look at Milwaukee's central city. Barrett sent a letter to Amazon CEO Jeff Bezos. In it, the Mayor said he believes building a fulfillment center in Milwaukee would give Amazon the best chance to find available workers. Barrett said the rate of unemployment in Milwaukee's low-income areas is significantly higher than the rest of the city and the state. "This is the time when we should be addressing unemployment in the central city of Milwaukee," Barrett said. "Even though there's been an economic recovery, the one place that really hasn't experienced it is the central city." According to the most recent numbers - from 2016 - in the City's Growing Prosperity project, about 3.9 percent of the 148,092 whites in Milwaukee's labor force were unemployed. That's compared to more than 13 percent of the 104,608 blacks in Milwaukee's labor force who were unemployed. Barrett said African-Americans looking for work would benefit from a major employer like Amazon building a significant facility in the central city. "Let's put the jobs near where the people need jobs," the mayor said. George Hinton, CEO of the Social Development Commission, regularly works with Milwaukee residents searching for employment. He noted many of them are willing and able to work, but unable to afford transportation to the suburbs. "We still see people working more than one job to make end's meat, and then in some cases people are still looking for work," Hinton said. "We shouldn't have that when there are so many jobs available. They're located in places we can't get to." Hinton echoed the Mayor's call for Amazon to consider building in Milwaukee. "There's lots of labor here," he said. Barrett acknowledged Amazon doesn't seem to be considering a fulfillment center in Milwaukee at this time, but said his letter represents a standing offer. "We've had conversations with people from Amazon over time, and we've made this case over and over again," the Mayor said. He mentioned the old Century City site as one possible location.